Welcome to the Argument Task of the AWA. In this video, we're gonna to talk about exactly what the argument is, and the directions that follow the argument. So that way, test day you will have no hesitation and will be able to dive right in and write a wonderful essay. That said though, let's first take a look at exactly what the argument is. Basically you were presented with an argument in paragraph four and you are to challenge that argument. This is important, because we tend, sometimes, to be equitable, to be fair, to want to say that argument can't be all that bad, perhaps there's some merit there here or there. However, on this argument task, you want to attack the paragraph. The paragraph has been intentionally written to be filled with logical flaws. Your job is to identify those flaws and then discuss ways that the argument can be improved. To give you an example, let's take a look here at the following. So you may want to pause this really quickly, and I assume you've done some. What we have here are two shopping plans. Well, one of them, has already been in existence for ten years, and that's the Bigsburgh Mall. So Bigsburgh Mall works well. So therefore, the Littleville Mill, will probably walk, Mall will probably work well. The problem though is these two cities could be different for any number of reasons. And that's why this argument is filled with holes. Now of course it gets a little more subtle than that and what we're gonna do in these lesson series is to take this prompt right here and to actually write an essay on it. That means the intro, three body paragraphs and a conclusion making sure that we followed these two steps. 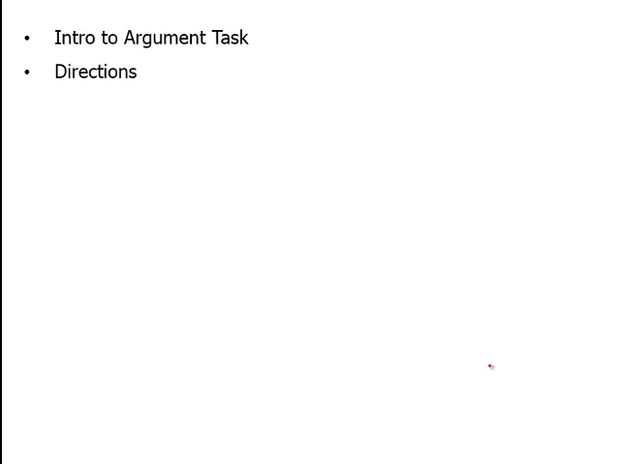 But for now, just so you have an idea what the argument task looks like, there it is. Of course, they're not always going to be about Littleville and Bigsburgh, or about shopping, but they can cover a spectrum of different topics. But a paragraph with logical flaws, it will always be. As for the directions, the directions are very important. The directions will always follow that paragraph. And they will always tell you the following. The reason I put these here is that it's important that you use these directions to serve as a guide, as we're going through the other lesson videos. That is, when we're writing the argument task and coming up with the various body paragraphs, of course it's a good idea to keep this in mind, the big picture as to what we need to do, but more specifically what the GMAT is looking for. And, again, these directions are taken from the GMAT book itself.